The name 'Gilbert 21' is an homage to Gilbert White, the 18th century English naturalist and author of The Natural History and Antiquities of Selborne. The '21' is, of course, a reference to the 21st century. In his day Gilbert White was revolutionary. Although the roots of the study of natural history reach back beyond Gilbert White, it was he who virtually single-handedly popularised it as a subject worthy of study in its own right. Any naturalist who reads the Natural History of Selborne today - over 220 years after its publication - will recognise White's spirit of enquiry and respect for the natural world as the very same values that drive us to study natural history today. 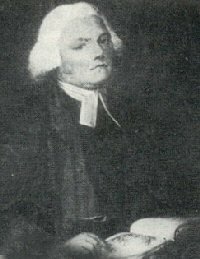 Gilbert White was an ordained clergyman and, for a great part of his professional life, the curate of Selborne (the very village where he was born). He was a true 'expert amateur naturalist' and it is probably no coincidence that, to this day, the ephithet of 'amateur' is not seen as a barrier to achieving great expertise and respect as a naturalist. I always think of natural history as one of the most egalitarian intelectual pursuits there is and I believe that this is, in part, a legacy of Gilbert White. One of Gilbert White's most interesting characteristics was his interest in the minutiae of the natural world. No detail of phenology, ecology, meteorology, physiology, behaviour or anything else was too small to interest him and he valued personal observation above all other means of learning about these things. Over the last 30 years advances in computing and communications technology have made it easier than ever to combine records from thousands of naturalists into large central repositories of data. This has many advantages, for example in helping us to formulate national conservation strategy and in making more informed decision around development control. But sometimes I think that it threatens to make the pursuit of natural history - which we sometimes now call 'biological recording' - a little one dimensional. This is characterised by what ocasionally appears to be an obsession with the 'distribution atlas'! Don't get me wrong - I like a nice distribution atlas; indeed I'm involved in the production of a number of them. But they're not the be-all and end-all of studying natural history. What about learning about, and taking joy from, the minutiae of every-day plants and animals through direct personal observation as Gilbert White did? The Natural History of Selborne has not been out of print since it was first published. It is now recognised not only as the first classic work of the nature writing genre, but simply as a classic of English literature. The book, and something of Gilbert White's spirit, have influenced our culture far beyond the limited world of natural historians and it is credited with inbuing our national psyche with a deep respect for nature and the English landscape. But there is another sadder truth that cannot escape anyone - even the non-naturalist - who reads the Natural History of Selborne today: it is that we are losing so much so quickly. Just a little over 200 years ago, Gilbert White was describing (often for the first time) many animals and plants that were commonplace then but which are fast disappearing from our coutryside now. Post war urbanisation and, particuarly, agricultural intensification has squeezed much of our wildlife and the wild places on which they depend out of our little island. So what will the 21st century bring? One thing it will bring, you can be sure, are even more advances in technology. We should capitalise on these, where we can, to enhance our appreciation of the wonder and beauty of nature and improve the effectiveness with which we record our observations. That is what this project is about and how it came to be called 'The Gilbert 21 Project'.